At most A-Day games, especially those overseen by Nick Saban, it isn’t so much what you see as what you don’t see. There aren’t a lot of complicated blitzes. There aren’t a bunch of funky offensive sets. There isn’t much more to be seen other than a basic overview of the depth chart, on-the-hoof estimations of successful (or not-so-successful) strength-and-conditioning efforts, and maybe a few tendencies sneak through in years – like this one – where Alabama is replacing an offensive coordinator. Saturday’s A-Day spring contest, the 10th of Nick Saban’s Bama career, was as much a time for reflection as it was an opportunity to look forward to the 2016 season. Alabama didn’t pack out Bryant-Denny Stadium, but it did appear to reverse a trend of declining attendance, solidly packing the 60,000-seat lower bowl, most of the west upper decks, and scattering enough fans through the remaining three decks to lead the school to announce attendance at 76,212 – which may have been even a conservative estimate. 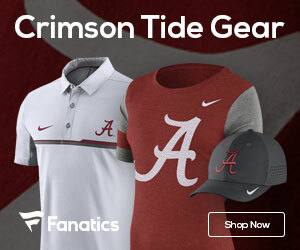 The arrival of spring football is always heralded in the state of Alabama as the start of football’s “third season,” following the actual schedule and the two months when recruiting feels like a competitive endeavor in and of itself. Spring games always spur a unique set of questions each year, but Alabama fans in 2012 were probably most wanting to know if the 2012 team is in danger of pulling a repeat of 2010. The answer is, not likely.